The Simpson Prize is a national competition for Year 9 and 10 students. The competition encourages participants to explore the significance of the Anzac experience and what it has meant for Australia. 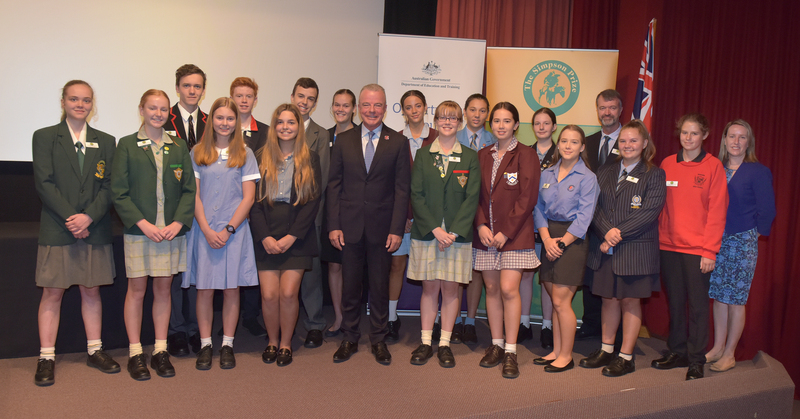 Eight winners are chosen from each State and Territory with the opportunity to visit overseas battlefields and participate in Anzac Day commemorations. For more information go to The Prize page. To what extent do experiences of 1919 support this view? The Simpson Prize requires you to respond to the quote and question above using both the Simpson Prize Australian War Memorial Source Selection (which can be found at https://www.awm.gov.au/Simpson2020 ) and your own research. Note: Winners will travel in 2020. The Simpson Prize Advisory Committee and the History Teachers Association of Australia congratulates the finalists in the Simpson Prize Competition 2019. Congratulations to both of the 2019 Teacher Chaperones on being chosen for this fantastic experience.